WASCO wishes to inform its customers in Maseru, Morija, Roma and TY that following weeks of experiencing challenges in the treatment of manganese at the Metolong Treatment Works (MWTW), a breakthrough has been achieved and water quality has been restored to normal and/or desired levels. This success is attributed to weeks of hard work in changing some of the design elements and tackling the operational challenges at the Treatment Works. Currently, the water that is being produced at the MWTW meets our demanding aesthetic (tasteless, ordourless and colourless) quality standards. WASCO has, since 17/02/2018, been flushing the supply system at strategic points in Maseru to remove the yellow water and expedite delivery of clear potable water to our customers, many of whom are already seeing water from the taps clearing. WASCO regrets the recent delivery of aesthetically unacceptable water in the past weeks. 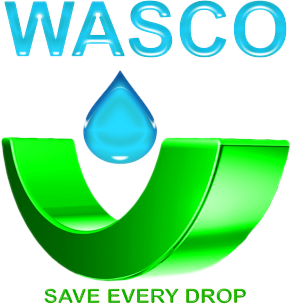 WASCO however, assures the public that even though water did not meet aesthetic standards (less than 0.1mg/L), the levels of manganese in the treated water were always below the health-based guideline and/or specification limit of (0.4mg/l) as prescribed by the World Health Organisation. Management assures all stakeholders that water quality remains key and is committed to supplying safe potable water. WASCO also, wishes to make the public aware that there are publications that are being passed as WASCO’s, on social media and some have even used the Company logo in the fabrication of a variety of messages that deceive the public. WASCO distances itself from these publications and encourages all stakeholders to only pay attention to authentic publications and seek clarification at all times from the Call centre at 80022011.